Adrian Mahoney is an experienced manager and journalist – and an award-winning public relations professional. He has worked in the media and communications industry for more than 27 years. Key strengths include media relations, copywriting and design. He also has excellent internet and web creation skills. As part of his current role, he does some media training. 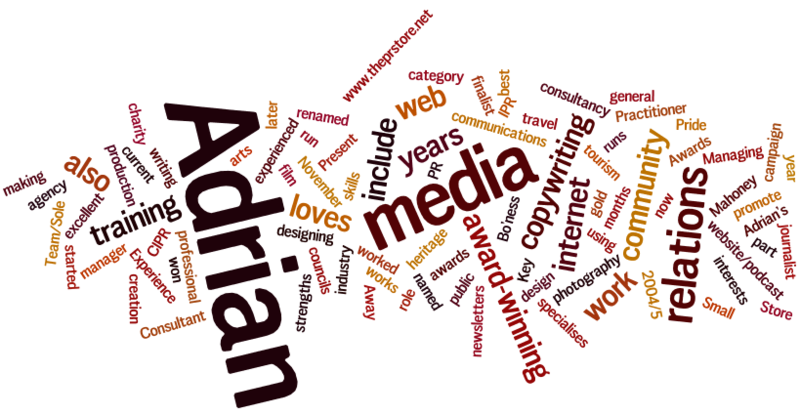 Away from work, Adrian’s interests include arts, heritage and tourism. He loves photography and has made a film for a charity he works with. He also loves to travel.